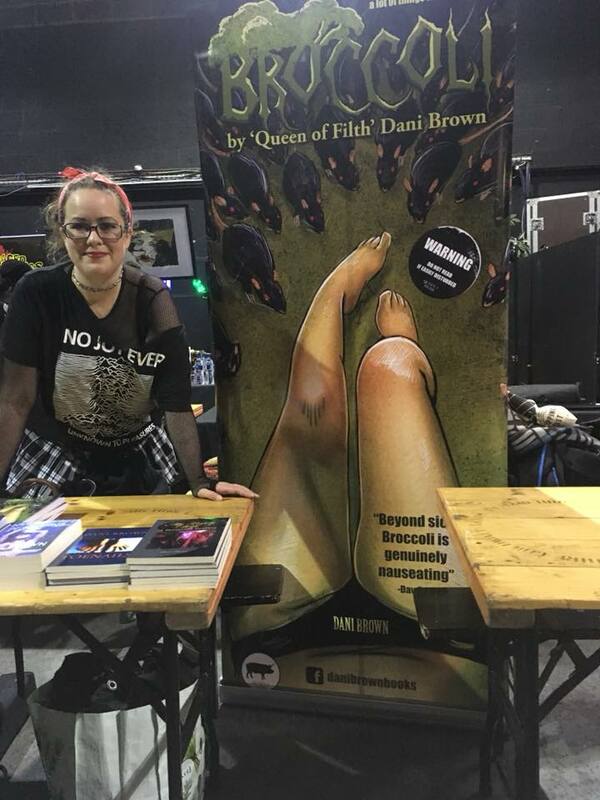 for interview requests contact dani on facebook at facebook.com/danibrownbooks. March 2019, Gingernuts of Horror, The Devil's Music: Albums That Made Me. For August, it looks set to be a podcast. If you are reading this after 29/07/2018, I will try to post all the information I prepared incase of a tech failure and Roma having to take over for me on this page. I did do an interview for May but it hasn’t posted yet. And July’s is ready to go on my end. 03/02/18 Mar Garcia The Bold Mom www.theboldmom.com/dani-brown-interview/ Contains information about Broccoli, Ketamine Addicted Pandas, The Panda Says No! And lots of me, me, me! 13/01/18 Mark Woods. sparkymarky1973.blogspot.co.uk/2018/01/a-little-q-with-dani-brown-my-featured.html?m=1 This one is very long. Contains information on Night of the Penguins, 3 of a Kind, Ketamine Addicted Pandas, Dual Depravity 2, Seth, Broccoli, My Lovely Wife, Stara, Reptile. Queen of Filth. Disgust and a squeamish nature. Early Childhood. Career to date. Difficulties writing. Mayhem and The Sugababes (which I spelt wrong in the interview because it isn't very reasonable to expect me to know how to spell a popband's name on the first try). 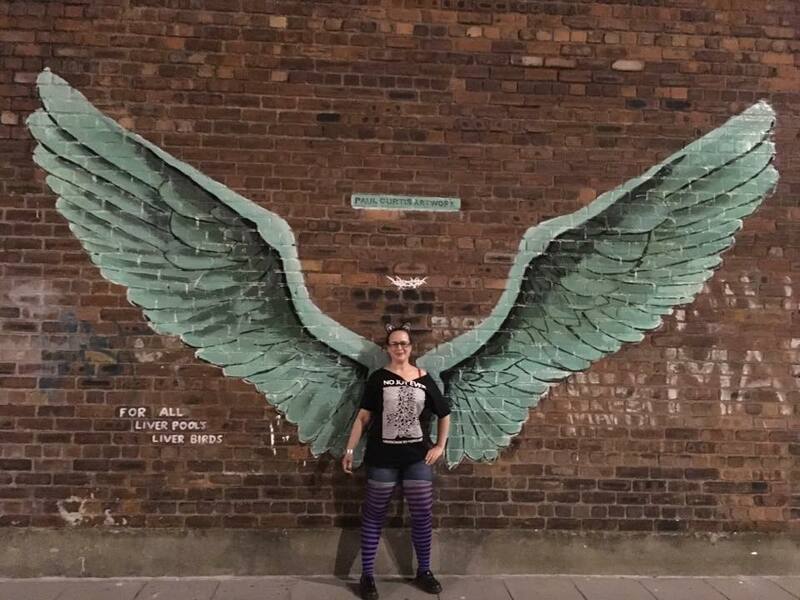 at Liverpool Horror Con 7/8 October 2017. The Paradox. Contains information about the keytar drawings and Hot Tinder Guy. Hard Talk with Hughes. All the information you didn't want to know. 11 May 2017. There are more photos coming soon. including some that'll look better on the back of books. for now, here's some fun ones. if you need a photo of me for an interview, I have plenty of selfies. I made the mistake of uploading some very innocent selfies to Instagram. Turns out, some guy wanted to lick my eyeballs, not kiss my eyelids, but lick my eyeballs. He commented on nearly every photo I had on there. I took to facebook to express my disgust, but I couldn't go through Instagram, screenshot every creepy comment (good research material) and do anything about it at that time as I was picking my son up from school and taking him out to eat. It wasn't until he was in bed that I was able to do something about it. I posted the photos that caused the attention to facebook once my son was in bed. A discussion started. Recent to the time (May 2017), a photo of me eating a banana had appeared in facebook memories. It was then suggested I take more banana photos. I took a few selfies of me eating bananas (and then a few more a few weeks later). 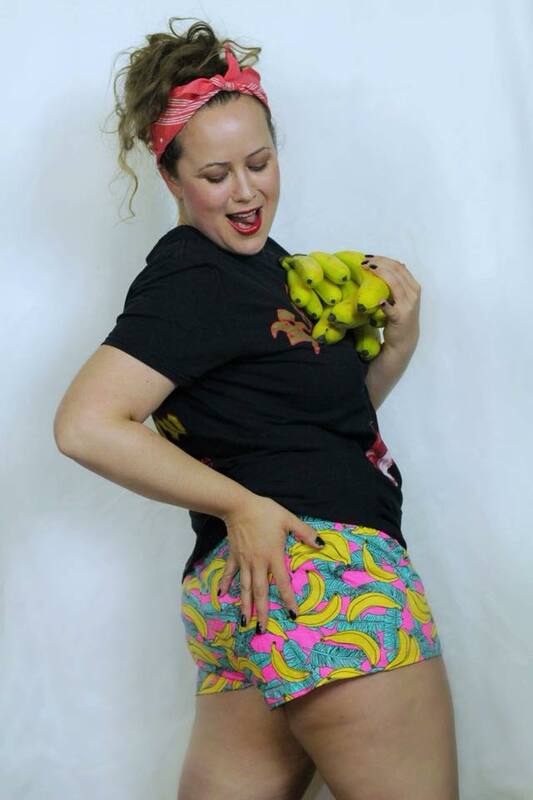 When I arranged professional photos with Lucy Myatt (@torathena) I couldn't resist bringing bananas along. Found banana pjs in Primark a few days before hand when I was looking for stuff for the photos.